The CO2 emission reduction policy of the International Maritime Organization (IMO) recommends that the operation of ships, managed by maritime transport companies, should be energy-efficient. An evaluation method that can determine how successfully a ship implements the energy efficiency plan is proposed in this study. To develop this method, the measures required for energy-efficient ship operations according to the Ship Energy Efficiency Management Plan (SEEMP) operational guidelines were selected. The weights of the selected measures, which indicate how they contribute to the energy-efficient operation of a ship, were derived using a survey based on the analytic hierarchy process (AHP) method. Consequently, using these measures and their weights, a new evaluation method was proposed. 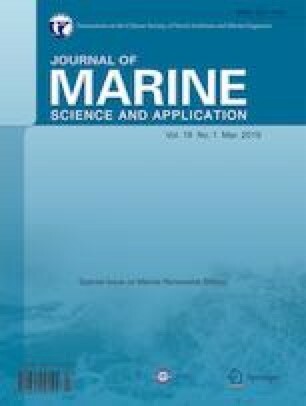 This evaluation method was applied to shipping companies in South Korea, and their ship operation energy efficiency indices were derived and compared. This evaluation method will be useful to the government and shipping companies in assessing the energy efficiency of ship operations. • To reduce CO2 emitted from existing ships, a method for evaluating energy-efficient operation was developed using the Ship Energy Efficiency Management Plan (SEEMP) as well as Energy Efficiency Operational Indicator (EEOI) regulations. • A survey based on the AHP method was conducted to develop an energy evaluation index. • By comparing the energy efficiency index scores assigned to marine transport companies, operational corrective measures to decrease CO2 emissions could be determined. The authors would like to acknowledge the support from the project titled “Development of Ship-handling and Passenger Evacuation Support System” funded by the Ministry of Oceans and Fisheries (South Korea-MOF).